In February of 2015, Kim Robinson reached out to us to see if we would publish her daughter’s story about Gardasil vaccine injuries. It was originally published on SaneVax.org. 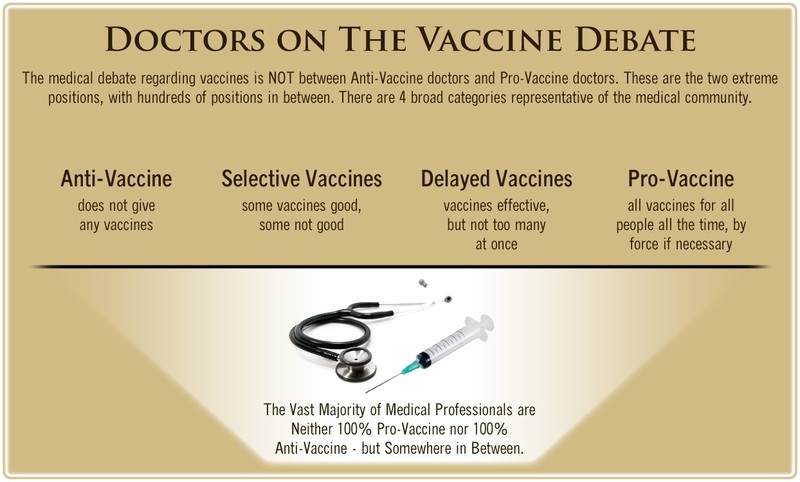 We had published many stories of Gardasil vaccine injuries before that time, and we have published many since that time. Some of the stories we have published have been very heart-breaking, with some, tragically, ending in death. Yet for some reason, that probably nobody can completely explain, Kim’s daughter, Katie, became the “poster child” for the many thousands of Gardasil vaccine injury stories. Her story , published just on the Health Impact News network, has been shared on Facebook over 5 million times over the years, besides all the other social media outlets and other websites where her story appears. The Gardasil topic remains the #1 most-read topic on Health Impact News, and Katie’s story is, by far, the most popular article we have ever published. 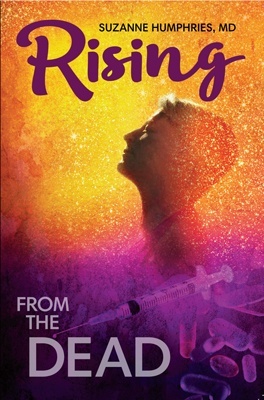 So it is with great joy that Health Impact News now publishes Kim Robinson’s 7-year follow-up report on her daughter, Katie, just as she graduates from High School this year, showing that with lots of love and hard work, a path to healing is possible. Katie’s article “Gardasil: The Decision We Will Always Regret,” originally published by Sanevax.org , has been shared around the world millions of times. 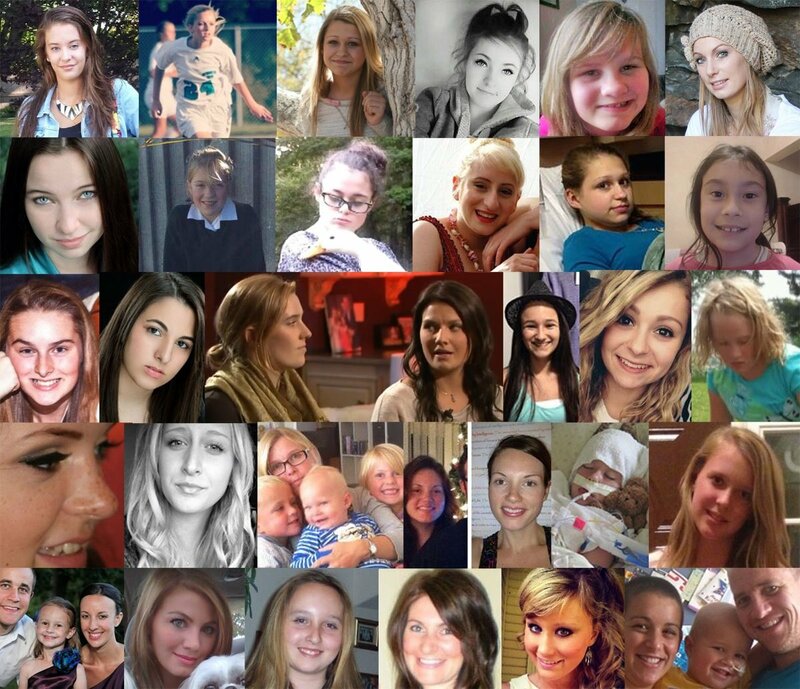 Many dozens of victims and the families of HPV vaccine injured from all around the world have contacted us directly after reading Katie’s story desperate for guidance and support because their child also suffered from Gardasil injuries. We’ve been very fortunate. We recovered Katie’s health. Since then, I’ve wanted to provide an update on my daughter’s original story but something always held me back. It was the fear that it could be taken away from us at any time and that Katie would be back to suffering. When my husband and I look back at our lives before Gardasil, it seems dreamlike. We were living our American Dream. We were married, had good jobs, bought a home to raise our two healthy kids in and were leading a vibrant family life. That was until September 2, 2010, when we took our daughter to the Pediatrician and consented to the administration of a vaccine we knew nothing about. Everything changed that day and the damage from one jab of Gardasil almost cost us every part of our American Dream including the life of our precious daughter. The funny thing is that I am a paralegal. I research EVERYTHING before making a purchase or before making important choices especially decisions that affect my children. Every day, we wish we would have heard just one warning so that we could have saved our precious daughter from years of suffering and quite possibly a lifetime of health issues. When I wrote the original article in November 2013, we had just realized that our daughter was suffering from a Gardasil vaccine injury. Kate was three years into aggressive treatment for multiple infections and viruses including Lyme disease, Bartonella Henselea, Mycoplasma Pneumonia, Strep and HHV-6 and had acquired two autoimmune diseases. She was treated by two highly regarded and skilled LLMD’s (Lyme Literate Medical Doctors) and yet she was actually sicker than ever before. The day we realized that Katie was Gardasil vaccine injured, she had been suffering 24/7 for 1,163 days and at the tender age of 14-years-old, she had given up hope that we would ever be able to find her way out of this nightmare. Just to be sure that what we suspected was correct, we asked Katie’s current LLMD and her Primary Care Physician to review her medical records and the information we collected regarding Gardasil vaccine injury. Both agreed that Katie was injured by the Gardasil vaccine, which impaired her immune system. This allowed latent (inactive) infections and viruses the opportunity to activate and remain chronic despite aggressive treatments that normally worked well for most others. We had some hard decisions to make. We considered continuing the current treatment of aggressively treating multiple chronic infections and viruses or the possibility of embarking on another path altogether. Katie’s chronic illness affected every facet of our lives. Financially, we were devastated. Katie’s medical bills greatly outpaced our income. We were spending more than $30,000 a year (not reimbursed by insurance) desperately trying to recover our daughter’s health. We knew if this continued much longer, bankruptcy was a reality we would have to face as was selling our home. The stress on our marriage was enormous. The financial, emotional and physical stresses of taking care of a chronically ill child make it incredibly hard for a marriage to survive. Our youngest child suffered too. With our limited resources of time and energy, we devoted as much as we could to finding recovery for our daughter and failed to give our son the attention and love that he needed and deserved. Sean is three years younger than Katie but we often found ourselves relying on him to take care of the daily chores of running a household and he also helped take care of his sick sister. Although we were scared, we decided to drastically change directions. We came to the realization that if Katie’s immune system was injured and/or dysregulated by the Gardasil vaccine, then she could never get well by only treating the infections and viruses. This is because antibiotics, anti-bacterials, and antivirals (regardless if the source is pharmaceutical or natural) are designed to knock down the infectious load only. Ultimately, the immune system must work to overcome the infections and viruses. Katie’s weak immune system simply was not capable of mounting the proper immune response so regardless of how aggressively treated, the infections and viruses remained active and chronic. Our first step in the right direction was adding “low dose Naltrexone” or LDN. LDN helps repair and modulate the immune system and also reduces inflammation levels. We found many remarkable patient reviews from those using it to treat a wide variety of autoimmune diseases including the two autoimmune diseases that afflicted Katie. We introduced LDN low and slow because Katie was very sensitive and often experienced adverse reactions to anything new. Almost immediately, Katie appeared to have glimpses of better where she would be happy and able to cope with her symptoms and pain levels but it was short lived and she was soon back to suffering. Even so, we felt that we were finally on the right path to healing our daughter. 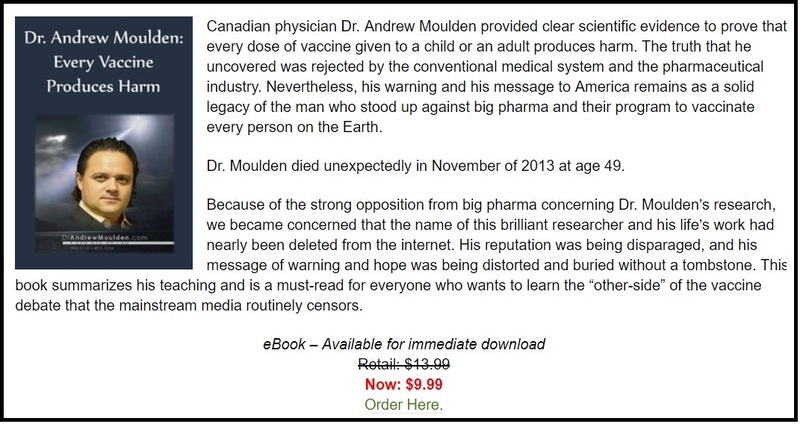 We learned that vaccines have a high amount of aluminum, a known neurotoxin that lodges in the brain tissue, and that many of the HPV vaccine injured suffered the effects of heavy metal poisoning. We added water containing high amounts of natural silicon to Katie’s daily protocol – 1 to 2 liters a day and removed all other drinks (especially highly processed drinks) from her diet. It’s been found that with the regular drinking of mineral waters rich in silicon that the excretion of aluminum in urine is facilitated in such a way that over extended periods of time aluminum is removed from the body. Several weeks after introducing LDN and silicone rich mineral water, Kate’s brain fog cleared, her memory returned and the ever-present headache pain receded slightly. Katie began ferociously reading book after book – sometimes 3 and 4 books a week. She said that she could finally think again. 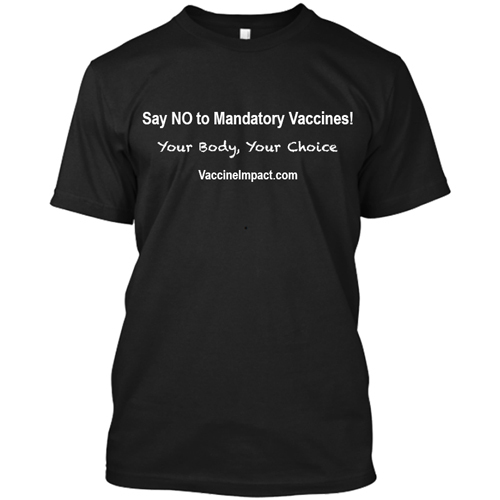 We found that many of those who are vaccine injured suffer from multiple food and environmental sensitivities. Katie’s 24/7 pain levels were very high and we needed to get the inflammation levels down. We realized that allowing Katie to eat foods that her body was reacting to only served to increase inflammation and it also assaulted her gut. At the time, Katie was unable to eat more than a couple of bites of food before nausea and abdominal pain would stop her. Katie would have to wait until the pain and nausea subsided to try to eat a few more bites only to be stopped again by pain and nausea – it was torturous. We used the Elimination Diet to figure out the foods that Katie was reacting to and found that she could no longer eat foods containing gluten, processed corn, citric acid or beef. We also stopped all processed foods. In its place, was a mostly organic diet of whole foods, free range organic meats that were free of antibiotics and hormones and wild caught fish. With these diet changes, the gut attacks Katie experienced while eating eased. We believe that if we had not addressed diet the way that we did, that Katie’s body was slowly moving towards gastroparesis (a paralyzed stomach). We also removed harmful chemicals from our home and personal products. Katie’s sick body could not tolerate continued toxic exposures. A huge part of Katie’s recovery was identifying and addressing vitamin and mineral deficiencies created by the Gardasil vaccine injury and the resulting long-term chronic illness and gut issues. Katie was diagnosed with leaky gut, which made it difficult for her body to absorb vitamins and nutrients from food and supplementation. We discussed this issue, Katie’s weak immune system and high inflammation levels with Katie’s Primary Care Doctor who prescribed a series of bi-weekly High Dose Vitamin C IV infusions. These IV infusions contain 50 to 75 grams of Vitamin C, magnesium, B vitamins and trace minerals. After years of suffering, a short few weeks of IV infusions produced amazing results. After one month, all POTS/Dysautonomia symptoms disappeared along with body wide joint pain. Several weeks later, the fatigue that plagued Katie for almost four years receded as she gained stamina to last her throughout the day. The IV infusions improved Katie’s immune system and her LLMD reported that she was finally no longer suffering from chronic infections and viruses. Hashimoto’s Disease went into remission and the pain level of 24/7 headaches/migraines receded to the point that it no longer interfered with every moment of her life. After a few months of bi-weekly IV infusions, Katie was feeling remarkably better which was later confirmed with improvements in blood and other medical testing. This was Katie’s first recovery and we rejoiced when Katie was able to enjoy Christmas 2014 with our family instead of being bedridden trying to cope with debilitating symptoms and pain. She was engaged and full of laughter and smiles. Our hearts were happy and we enjoyed the holidays as a normal family. I would like to say that from this point on Katie no longer suffered, but the truth of it is that once you suffer long-term chronic illness, it forms well-worn ruts in your health. The reality was her body could easily be tipped back into the ruts of chronic illness and she was again struggling to regain control and recover the ground lost. During Katie’s illness, she was diagnosed with a genetic weakness for removing mold toxins which allow these toxins to remain in her body for months after exposure. More recently, Katie was diagnosed with mold allergies. After Christmas that year, Katie was ready to go back to attending school. This was particularly exciting because Katie had been too sick to attend school for more than four years. Unbeknownst to us, Katie’s high school has a mold problem. On her first day back to school after the holiday, she entered the school building and immediately felt symptoms she only experiences when exposed to mold. Unfortunately, Katie did not realize that staying in the building could be devastating to her health. After only two hours in the building, Katie came home fatigued, with a migraine, sinus issues, severe ear pain, body-wide joint pain, and nausea. In the days that followed, Katie experienced a full relapse and was back to suffering 24/7. Once again, we found ourselves running to catch Katie as she fainted, holding her hair while she struggled with vicious nausea and taking care of her while she stayed long hours in bed trying to cope with all the debilitating symptoms and pain. She was forced to finish out the school year as a homebound student. Her teacher couldn’t believe the dramatic change in Katie’s health and told us she was having a hard time concentrating and doing her school work. We were all devastated. Although we did everything we could to help Katie, it took another six months for Katie to recover her health again. When Katie was ready to attend school again, we had to privately place Katie in a mold-free high school. On the foggy morning of November 5, 2015, I watched our daughter walk away from the car to attend her first day of high school. She was 16-years-old and entering 10th grade after being sick since 11-years-old. I took a picture as she walked away although it is a moment in time that I will never forget. It took Katie some time to adjust to the daily rigors of attending school. She was not symptom-free so some days were terribly difficult for her but she was determined to remain in school. Katie is a dedicated student and on her own, corrected many of the educational deficits that were created by not being able to attend school for so long. 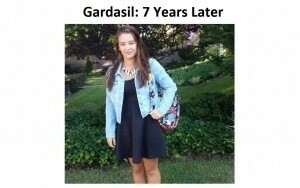 Gardasil stole years of Katie’s life. We were fortunate to find her path out of this nightmare. Although Katie continues to struggle with lingering issues, she goes through life with purpose, determination, and joy. We estimate that she is 90% recovered. For the most part, we’ve learned how to manage her health so that she is able to live a normal life. As I write this update, Katie is 18-years-old, a senior in high school and member of the National Honor Society. She is on the cheer team and has a part-time job. Recently, Katie was accepted to two universities as a Biology/Pre-Medical student. Her dream is to become a licensed Naturopathic Doctor (N.D.) and help those who are suffering from chronic illness and pain recover their health and lives. For all these reasons, I am finally allowing myself to feel the relief I should have found a long time ago. Parents of chronically ill children find it really difficult to relax and enjoy life and that continues even after their child gets well. The nagging thought that it can all be taken away at any moment left me anxious and unable to relish in all that Katie has accomplished. Katie is forging ahead with her dreams. It is time for me to release this fear, embrace life and believe in Katie’s bright future ahead. Comment on the article at VaccineImpact.com .